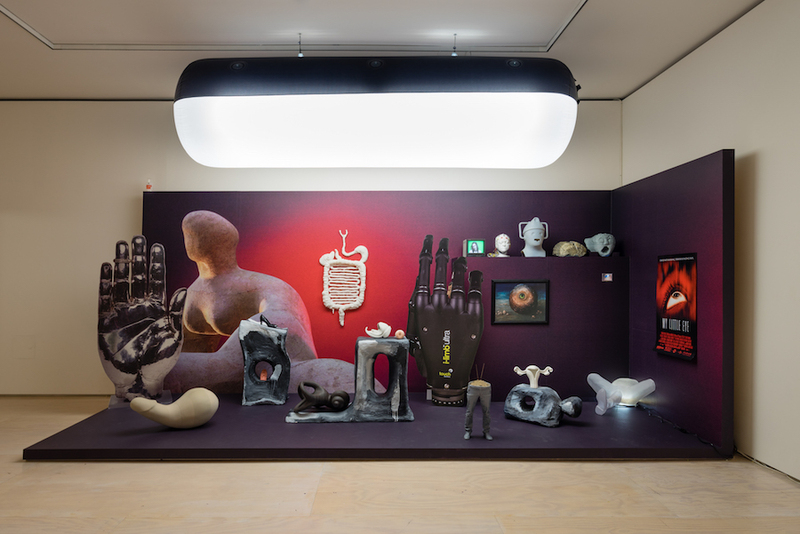 PS1 presents the first comprehensive U.S. survey of the pioneering British artist Mark Leckey. 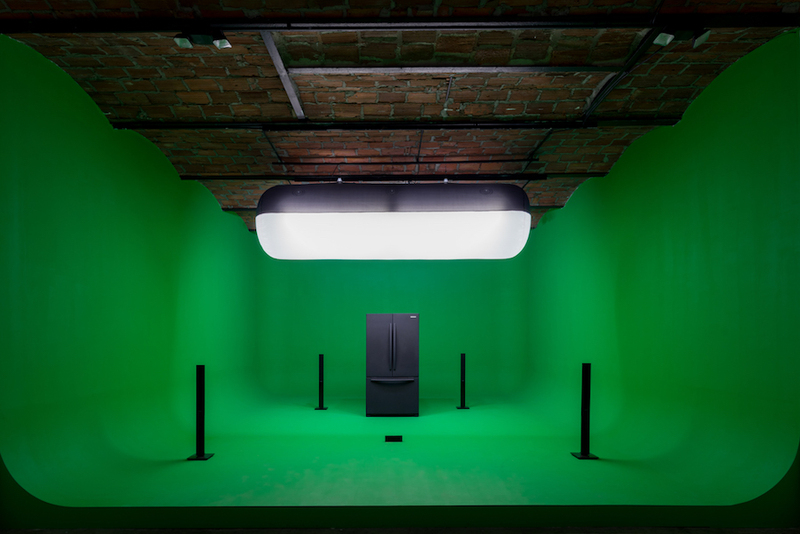 The largest exhibition of his work to date, Mark Leckey: Containers and Their Drivers will be on view through March 5, 2017. 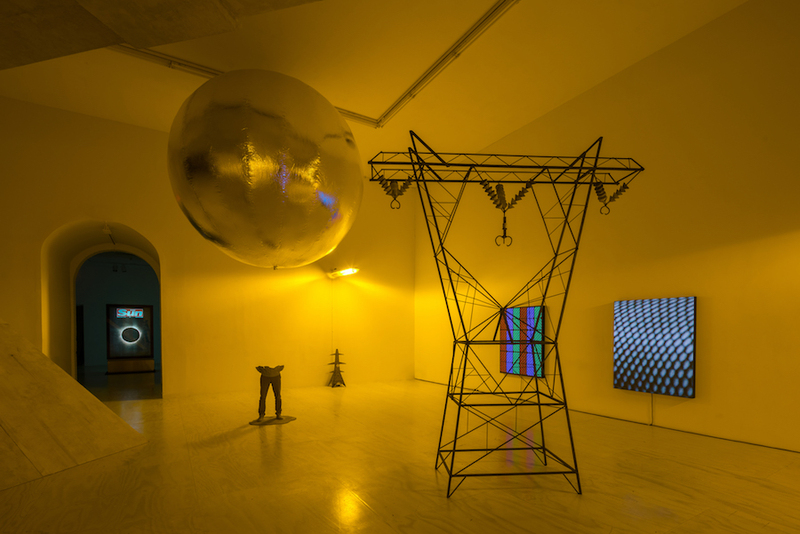 Since coming to prominence in the late 1990s, Mark Leckey’s dynamic and varied practice has combined formal experimentation with pointed explorations of class and history.  His art has addressed the radical effect of technology on popular culture and art, and given form to the transition from analog to digital culture, powerfully influencing younger generations of artists. 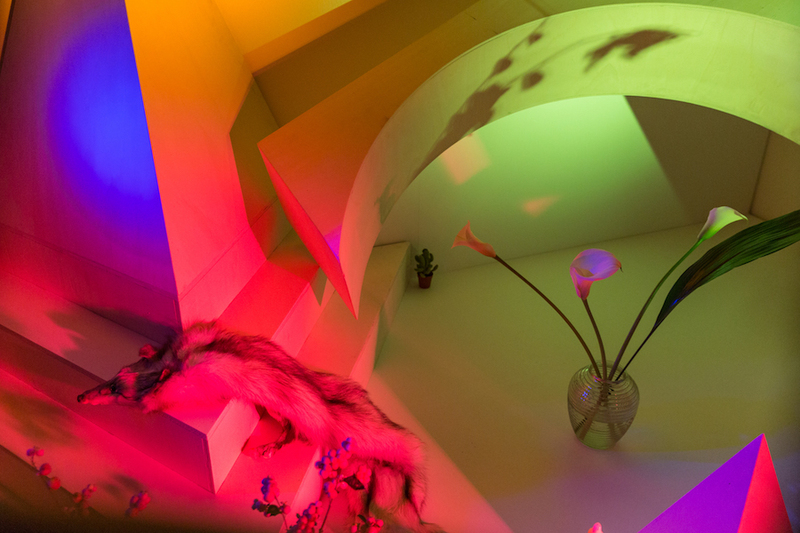 Occupying two floors of MoMA PS1, the exhibition brings together major bodies of Leckey’s work in newly expanded iterations, featuring a broad array of filmic works and sculptural installations alongside pieces made specifically for the presentation. In a romantic search for authentic experience, Leckey synthesizes recent and historical pop culture, histories of art, primeval myth, and his own biography, returning to certain themes and sources. In these repetitions and iterations, he often cycles through various inauthentic forms by printing effigies; sampling, looping, and distorting; digitally animating; and reconstructing them at varying scales. 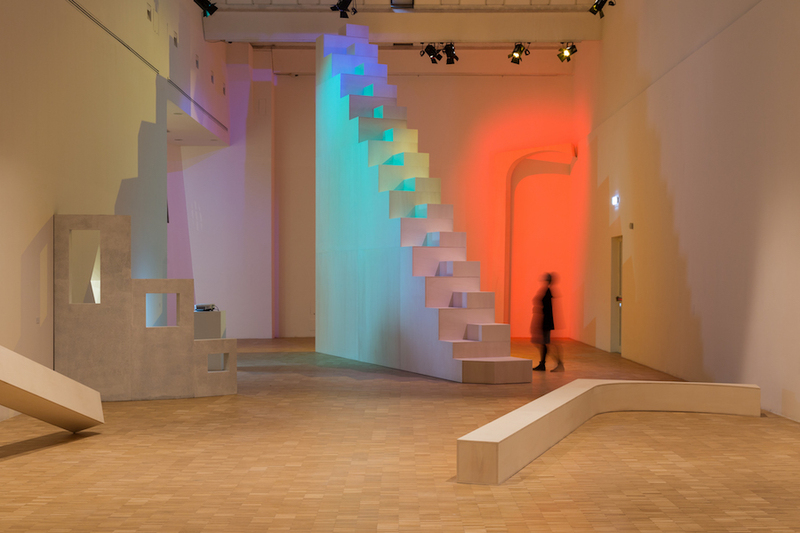 An expansive presentation spanning the third floor galleries centers around Leckey’s personal history, including a full-scale reproduction of a highway overpass that the artist frequented in his youth. Numerous works reference the London apartment where he lived and worked, and as well advertising and infrastructure common to the urban English landscape. Dream English Kid 1964– 1999 AD (2015), a filmic autobiography told through what the artist calls “found memories, ” has been compiled from sources like archival television clips, YouTube videos, and eBay ephemera, as well as meticulous reconstructions of specific memories using props and models. At scales both monumental and miniature, with forms both concrete and spectral, this site-specific installation reanimates moments and sensations from the artist’s past.